Postman David Pouline has joined Simplon social digital factories. The partnership between La Poste and Simplon enables employees to retrain in IT. Ille-et-Vilaine postman David Pouline is one of 15 employees to be selected. Having made it through all stages of the selection process, Pacé postman David Pouline has been selected to undertake web designer/developer training alongside 14 colleagues from all over France. 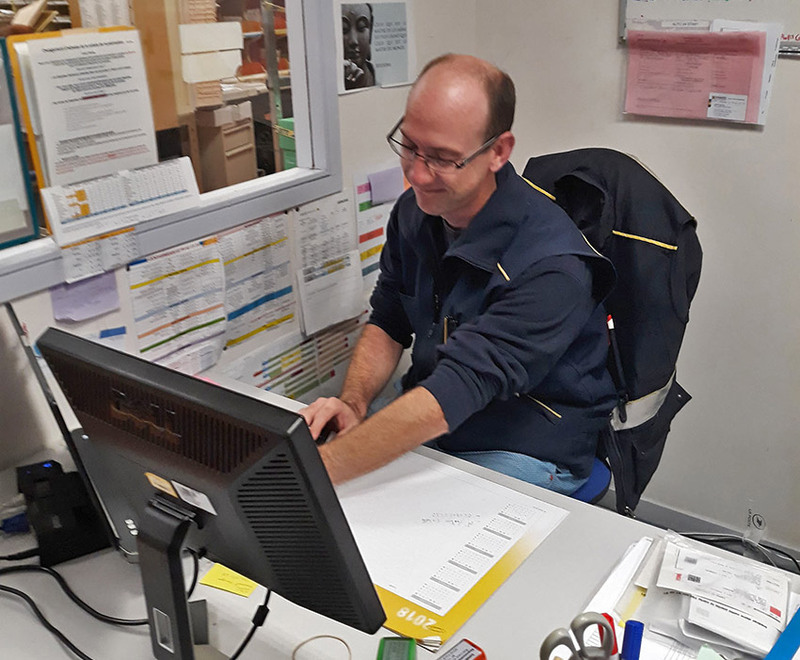 Le Groupe La Poste has been working with Simplon social digital factories for three years to offer IT and non-specialist employees fantastic career opportunities. David Pouline will continue to work while training part-time for nine months and earn himself a professional web designer/developer certificate recognised by the French government and equivalent to two years of higher education. La Poste’s digital transformation is creating new roles and new skills requirements including coding and web and mobile development. The company has chosen Simplon to help with this transformation and with training employees. Following a successful initial experience in 2015 with around ten La Poste Network employees, the company has extended its partnership with Simplon by opening the scheme to all Group Business Units nationally. This has created outstanding opportunities for training employees who are not IT specialists (postmen and women, counter clerks, those working in support services, etc.) but who are interested in IT and want to take a step towards future roles in web and mobile development. Montreuil-based Simplon is a social business offering training in digital roles, particularly software development. Training is mainly aimed at young people aged under 25 who are unqualified or underqualified and come from deprived or rural areas. It is also for those looking to take their career in a new direction and for women and seniors, who are insufficiently represented in technical professions. Digital technology? Not without women!